The Bobcats advance to the Class C South semifinals for the first time with a 33-30 victory. AUGUSTA — History was looking to repeat itself. 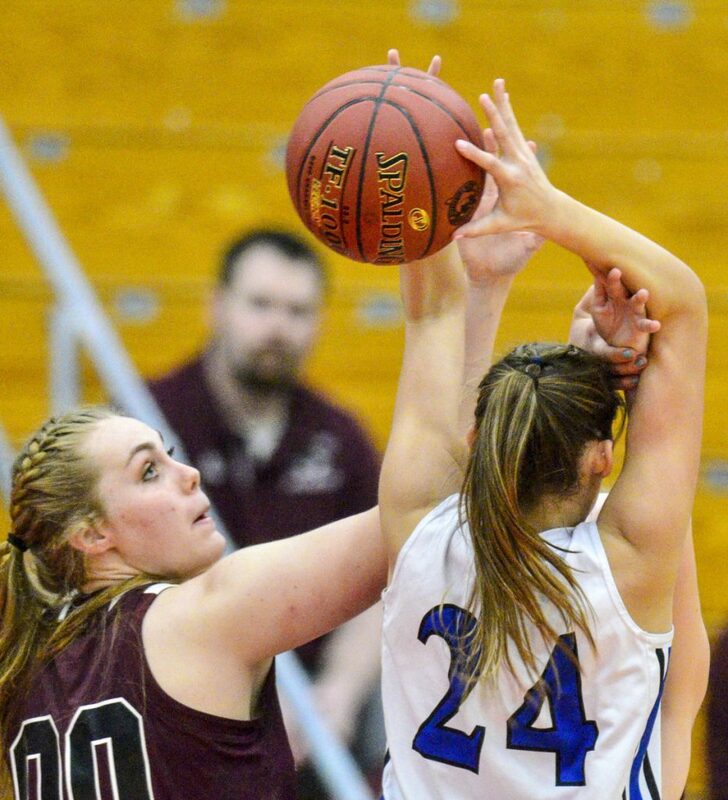 The Richmond girls’ basketball team was down – again – to Old Orchard Beach – again – in the quarterfinals of the Class C South tournament. But the Bobcats moved to the Mountain Valley Conference for just that kind of situation. And this time, they had a response. Bryanne Lancaster led the way with 13 points, Sydney Tilton grabbed a key rebound in the dwindling seconds and No. 6 Richmond earned its first trip to the C South semifinals with a 33-30 victory over No. 3 Old Orchard Beach on Tuesday at the Augusta Civic Center. Tilton added nine points and 10 rebounds for Richmond (15-5). Brianna Plante led the Seagulls (16-4) with nine points, and Shani Plante added seven. Down 20-14 at halftime and with Tilton getting swarmed whenever she went into the paint, the Bobcats needed another player to step up. Lancaster answered the call. The sophomore scored eight points in the third quarter, helping to turn the six-point deficit into a 25-24 lead going into the fourth. Lancaster knocked down Richmond’s first two field goals of the quarter, a jumper and a 3-pointer, then buried a second 3-pointer with 1:09 left to give the Bobcats their first lead, 25-24, since a 6-5 advantage with 5:16 left in the first. “That was probably the best feeling in the world,” she said. It was tough going all afternoon for Tilton, who had to deal with double- and triple-teams and attention from 6-foot-2 Maggie Strohm and 5-9 Meghan LaPlante. So the senior found another way to contribute. Tilton grabbed six of her 10 rebounds in the fourth quarter, denying the Seagulls several critical tries at second-chance points. Her last one was her biggest. Old Orchard Beach had the ball down 31-30, but Kaitlyn Cote’s shot for the lead was deflected by the Bobcats and the Seagulls were called for a loose ball foul with 14 seconds to play. That sent Lindsie Irish to the line, and her free throw was offline. Before the Seagulls could snag the ball for another try at the win, however, Tilton swooped in and snagged the rebound, then hit both free throws after an Old Orchard Beach foul with 12.3 seconds to go. After a Seagulls turnover on the next series, the game was over.